Dense Milt presents Condensed Milt: Meter still on I'll strike a match. So I went to bed around 3 am and woke before 6 am. That is not a "good night's sleep." It is hardly a nap. Seven days into living like a virgin. At least drinking it virgin. What do I notice? More energy. An intensification of feelings- both physical, mental, and the other thing. What do I notice? People sound louder when you aren't drinking alcohol with them. Coffee at 10 pm is still not a good idea. The moon is still in the sky at night. The sun in the morning still excites. 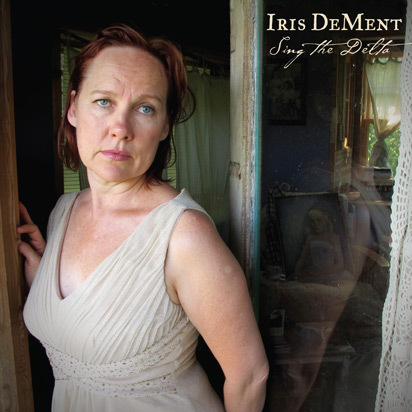 I was so excited yesterday finding a new album of new original music by Iris Dement at Red Cat records. It has been over 16 years since she put out an album of original music. There is a warmth and maturity to this new record. Already I love Sing the Delta and The Night I Learned How Not to Pray. The photo from the cover is not glamourous in any sense of the word; she presents herself as a less than flattering hausfrau, and yet...there is a sensual quality to it. She has a sadness in her eyes, but the fullness in her lips draw us in. Easy is still getting harder every day it seems. She knows sorrow. And her voice...so distinctive and so 'old timey', so full of character, so full of life. I remember when I first heard Iris, back in the early 90's. Kurt Cobain had just committed suicide and the shock of that loss was fresh. Iris filled the gap of his loss for me with her songs, lyrics, voice. I would listen and cry along to her music everyday. I saw her perform live in those days, and the love affair continued. The reaction to her third record, which was more political, seemed to change her. She withdrew, and her marriage fell apart or she outgrew the relationship. It was so many years until her next record, a collection of gospel songs that inspired her. In between, a selection of covers and youtube clips, collaborations with John Prine, was all her fans were left with. What was the mystery? Was she suffering a writer's block? Had she told her story in the first two records, and that was all? Was she depressed? Then we heard she had married Greg Brown, and apparently from reading the liner notes to the new record, had a daughter. Life can interrupt the creative process, or rather the creation of a new life and parenting is a creative process in itself. The heartbreaking song The Night I learned how not to pray ( because God does what he wants to anyway) is surprising in a way from an artist whose faith seemed to be such a big part of her life. But what is faith without a crises of faith? No matter how strong our belief in a higher power, we cannot help but be rocked when someone we love so dearly is taken from us. In the song, she witnesses her younger brother falling down stairs, a crumpled heap at the bottom with blood seeping from his head, and you know this is not going to end well. She gets down on her knees and prays and God takes him anyway, despite her prayers. Horrible tragedies like this happen everyday; our worlds and faith are challenged. But what is faith but believing in something that cannot be proven? If we could prove the existent of God, we wouldn't have to believe. We would just know. I had the joy yesterday of walking with a dear friend, and sharing stories of our lives, our challenges. She gave me hope of overcoming the day to day, hour by hour, test of character that I'm going through. My life is so gifted, it feels wrong to complain or try to elicit sympathy. I am eight days sober today, trying to process my thoughts, trying to repair, revise, reinterpret, reenvision, reenvigorate, and reinvent my present, my gifts, my life. Oh that is a lot of R's. Hard r's, rolling r's, a veritable pirates booty of R's. As the cartoon at the top says, the meter is on and the gas is running. 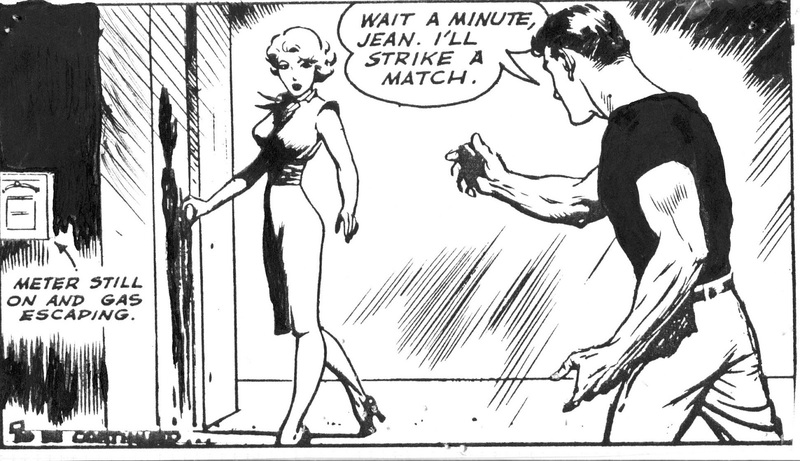 And hey Jean, do you need me to strike a match?